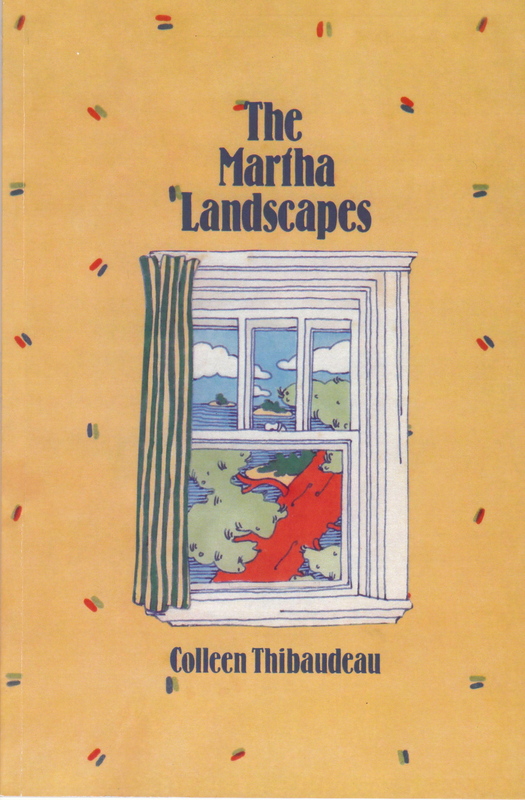 Here is Colleen’s poem “Beatie’s Palaces” from The Martha Landscapes (1984), now back in print and available from Brick Books. “Jeez, you got good leaves.” says Beatie. where she lives by the dump. 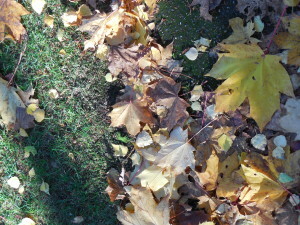 are what Beatie makes, raking. right round the corner onto East. “I sure like your leaves,” says Beatie. Grade Seven will be her last year at school. What did we dream of there on Beatie’s palace beds? “What’s for supper?” one of us asks audaciously. about thirteen, she is already married to life. to get our hair washed. Beatie didn’t go home till it got good and dark. for it had gotten into our blood, the idea of Beatie raking, making. there is Beatie’s palace glowing gold and green. ◊ Listen to Jean McKay read “Beatie’s Palaces” here. 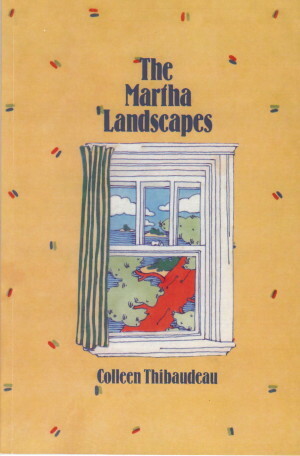 The Martha Landscapes by Colleen Thibaudeau, 1984.